Earlier this year, Sen. Bob Corker (R-TN) helped introduce the bipartisan CAP Act, which would aim to cut federal spending by $7.6 trillion over 10 years. Congress has finally passed a spending plan for the year, but now another big budget battle looms over raising the debt ceiling — the amount the U.S. is allowed to borrow to pay its bills. For months, lawmakers have known that the nation's credit limit, currently $14.3 trillion, would top out this spring. Now, news that major bond rating agency Standard and Poor's has lowered its outlook on U.S. government borrowing puts even more pressure on the coming debate, forcing lawmakers to consider their options as they face yet another high-stakes vote. Republican House Majority Leader Eric Cantor describes the upcoming vote on raising the debt ceiling as a chance for conservatives to get another shot at government spending cuts. And news of Standard and Poor's warning about federal deficits hasn't changed his mind. "We in the House hear you loud and clear, S&P," Cantor said while visiting the telecommunications company Qualcomm in San Diego on Monday. "My hope is that wake-up call will spur Washington into acting in a serious way, not just to say we're kicking the can and doing things the way we've always done them." Action for Republicans means using the debt-limit vote as leverage to get Democrats and the White House to sign on to more spending cuts, or even a constitutional amendment to balance the budget. Freshman Rep. Raul Labrador (R-ID) foreshadowed the current pressure at a Tea Party rally in March. "We have been told that we have to act like adults," he told the crowd. "If acting like an adult is going to lead to $1.5 trillion in deficit spending; if acting like an adult is going to lead to $3.6 billion every single day that we are borrowing, I would rather be a child." Labrador voted against the recent budget deal that prevented a government shutdown, and if enough conservatives vote against raising the debt limit, GOP leaders would have to look to Democrats for support. But Democrats want a so-called clean bill on raising the debt limit — that means no attachments and no spending cuts. Rep. Peter Welch (D-VT) says anything else would be hostage-taking. "Should we allow this forum of America paying its bills to become hostage to the competing political points of view and how best to get our fiscal house in order?" Welch says. In fact, some Democrats did just that when they voted against raising the debt limit in 2006 to protest the policies of the Bush administration. This time, more than 100 Democrats have signed on to a letter by Welch that calls for a clean bill. Welch says there are other venues for spending cuts. "There [are] going to be 12 appropriations bills; there is going to be another election," Welch says. "So there's a time and place, but if we inject that into this question of whether we actually honor our obligation to pay our bills, we're going to do real damage to the American economy." Meanwhile, a bipartisan bill in the Senate is taking another approach. 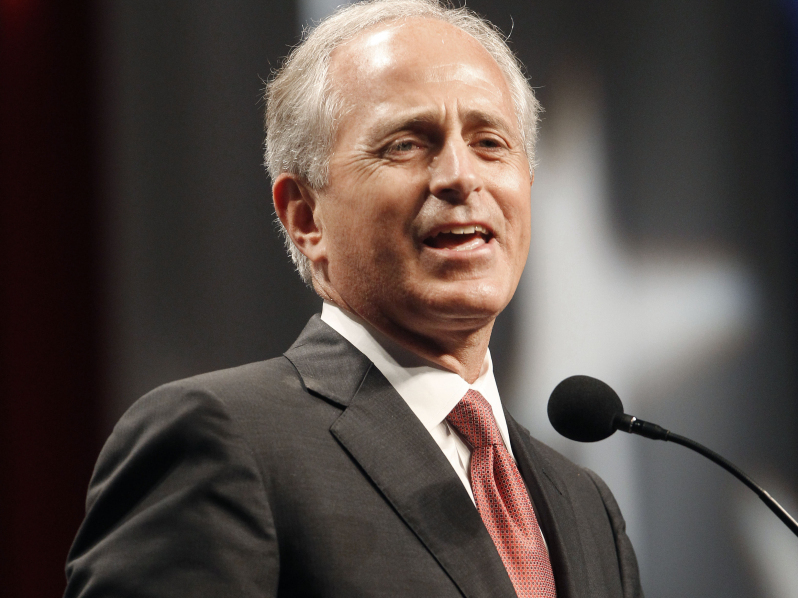 Tennessee Republican Bob Corker and Democrat Claire McCaskill have introduced legislation that would cap government spending starting in 2013. Corker says it purposely doesn't say how to do it, just that it be done. "Let's first agree where we're going because we tend to divide up very, very quickly when we jump first to the solution," he says. "So it's best for everyone to first agree what is an appropriate spending level." If the Corker-McCaskill deal doesn't catch on, Corker says that unless there is some evidence from lawmakers that Washington will change its free-spending ways, he, too, will vote against raising the debt limit.